incorporating helpful foods and natural medicines into your diet can help reduce symptoms to better manage ADHD. Several essential oils can be used as an ADHD natural treatment. Studies have shown that Vetiver and Cedarwood essential oils are both effective at improving focus and calming children with ADHD. Rosemary and Peppermint oils are known to improve alertness and enhance memory, while Ylang Ylang and Lavender promote clarity and heightened cognitive function. B vitamins aid in the formation of serotonin. Serotonin in the brain helps regulate mood. Both children and adults with ADHD may need more B vitamins to help stabilize their mood and reduce anxiety. Take up to 50 milligrams of B-complex each day as an ADHD treatment. including zinc, magnesium and calcium may be extremely beneficial for people who suffer from ADHD. All three nutrients play a role in relaxing the nervous system to lessen ADHD symptoms. Take up to 500 milligrams of calcium, 250 milligrams of magnesium and 5 milligrams of zinc twice a day, or add whole foods that contain zinc, magnesium and calcium to your diet. GABA is an amino acid that’s known for its calming abilities. It does have the potential to interact with other medications, so consult your doctor before taking GABA. If cleared, take up to 250 milligrams twice a day. GABA can be used as an ADHD treatment for adults and children. Studies have shown a link between brain health and gut health. Keeping your gut healthy can help reduce brain fog and regulate memory, concentration and focus. The way you eat directly affects the way your brain works. Take a probiotic supplement each day or add probiotic foods to your diet for ADHD treatment. Probiotics help create an environment full of helpful bacteria in your gut. Rhodiola Rosea is an herb used in traditional Chinese medicine to promote physical and cognitive health. It can be used as an ADHD alternative treatment. The herb increases the sensitivity in the neurological and nervous system and promotes the formation of serotonin. Both children and adults can use Rhodiola Rosea to improve focus. 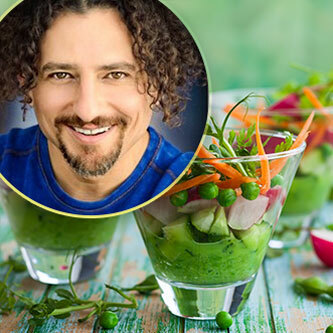 PLUS Receive The David Avocado Wolfe BestEver Newsletter, Videos, ﻿Health & Lifestyle Strategies, ﻿Blog﻿ And Video ﻿Updates﻿, and more! Next article Angel Gifts ~ Your Complete Angel Gift Guide!